The ZS6BKW variant of the G5RV claims to offer multi-band coverage without the need for a tuner. This article looks at whether or not these claims are valid in a real life installation. Wire antennas for the low bands - Experiments by G8JNJ on wire antennas for low bands. 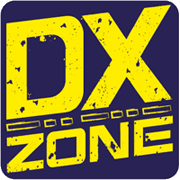 Based on these tests, conclude that for multiband (160 to 6m) operation, in a restricted area it is very difficult to beat a G5RV, especially the ZS6BK version. 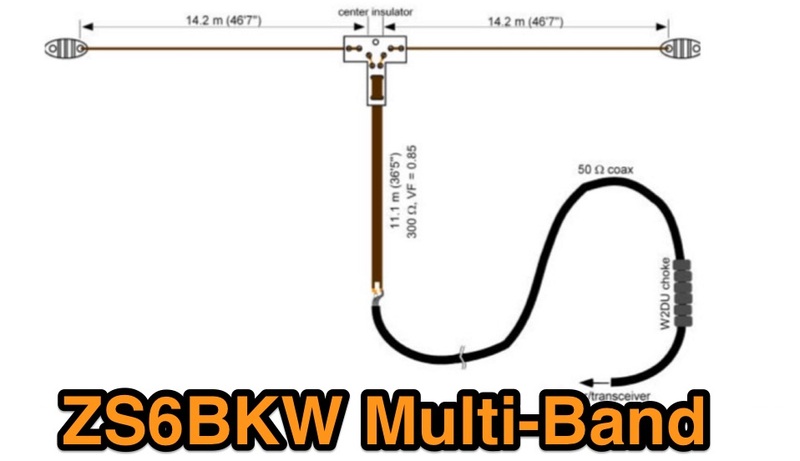 ZS6BKW Multi-band Antenna - The ZS6BKW antenna is derived from the G5RV by Brian Austin G0GSF who developed computer programs that were used in conjunction with Smith charts to calculate the optimum dimensions for his variant of the antenna. ZS6BKW variant of the G5RV - The ZS6BKW variant of the G5RV claims to offer multi-band coverage without the need for a tuner. This article looks at whether or not these claims are valid in a real life installation.